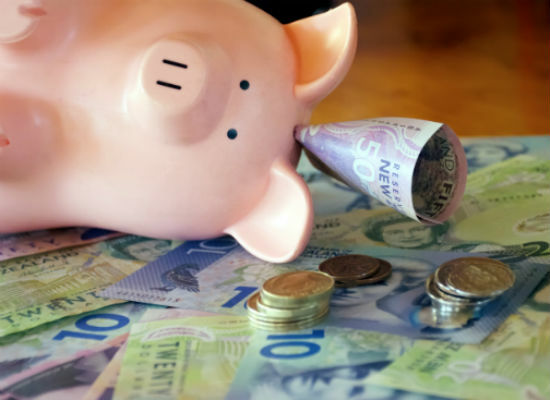 Unlike the other recent cash rate cuts that have occurred, the Reserve Bank’s decision this month to reduce New Zealand’s official cash rate to 2% has been an unexpected boon to savers. A version of this article was first published on Cuffelinks. The Reserve Banks of both Australia and New Zealand made the decision to lower the respective official cash rates in August this year – and in both countries that majority of the major banks made the decision to limit the reduction passed on to borrowers and instead have increased 1, 2 and 3-year term deposits. In response to the Australian RBA announcement three of the Big 4 banks, along with a number of smaller institutions, have increased one, two and three-year term deposit rates by up to 60 basis points, to rates that will now see savers ahead on their cash savings after tax and inflation. To fund these increases, banks have passed on between 10 – 14 basis points of the cash rate cut to mortgage-holders. In response to the New Zealand RBNZ announcement, four of the five big banks increased selected term deposit rates and passed on only part of the rate decrease to borrowers. While the decision of these institutions to restrict mortgage reductions and increase term deposit rates surprised many commentators, it is in retrospect not surprising at all given the pressures of regulatory reform and global funding markets, both now and coming soon. Why are banks increasing term deposits? Regulatory reform is perhaps the most significant pressure; the Basel 3 reforms are in the process of imposing stronger liquidity requirements (LCR) on lending institutions. Banks are required to hold highly liquid assets equal to or greater than net cash outflow over 30 days. The coverage ratio became effective 1st January 2015. Because banks are required to hold low-yielding assets (e.g. government bonds) for deposits and wholesale funding that has a maturity of less than 30 days, it makes deposits with a maturity greater than 30 days more attractive. Hence the introduction (albeit slow) of notice accounts that require 31 days’ notice to withdraw, and the toughening up by the banks on allowing early breaks of a term deposit. Obviously as a result of these ratios, term deposits are becoming more attractive to the banks, leading to a re-pricing up by the Big 4. Judging by the speed with which the majors announced their loan and deposit decisions after the RBA and RBNZ announcements, this strategy had been carefully planned and costed in advance. In not passing on the full 25 basis point loan reduction the banks are obviously protecting margins and establishing a funding mechanism for competitive 2 and 3-year fixed loans that are quarantined from the variable rate book. The same can be said on the funding side: the banks in passing on increased rates on term deposits are not passing them through to their whole deposit base (for example existing term deposits until maturity, at-call bonus and online savers, and shorter-term term deposits). Market-attractive term deposit rates can be managed to different maturities, based on the popularity of fixed-rate home loans. Term deposits to fund loans of like maturity allow the banks to manage the two margins together and make micro adjustments to preserve their margins. Neither term deposit rates nor fixed home loan rates are supercharged either politically or with media commentators. Thus moves can be made without creating waves. Increasing domestic deposits results in a reduced reliance on wholesale funding. This applies whether the banks raise term deposits or at-call online savings interest rates. The former is more attractive, though, because of the preceding reasons. The actions of the large banks to increase their domestic deposit reserves puts significant pressure on the smaller banking players; the smaller institutions will potentially have much to lose and will be obliged to stay competitive in this space and raise their 1, 2 and 3 year term deposit rates accordingly. Also keep an eye out for possible out of cycle home loan increases by the smaller institutions over the next 6 – 12 months as margin pressures bite. This will be aggravated by maturities in the existing book rolling into higher rates. Overall, the cash rate is simply a signalling mechanism that flows through to other rates in the economy. This time it has not flowed through fully on the housing front, which both the Reserve Banks may quietly welcome and instead, for the first time in a while, has provided welcome relief for savers. Stephen Mickenbecker is the Group Executive Ratings and Financial Services of Canstar. Compare term deposits with our free comparison service. Find the best interest rates and features for your next term deposit.